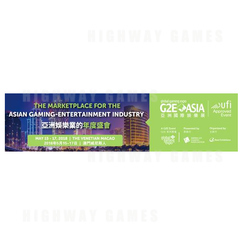 Global Gaming Expo (G2E) Asia, the marketplace for Asia’s gaming and entertainment industry, today announced several digital offerings that will significantly enhance attendee engagement at this year’s show. New to 2018, G2E Asia’s Match Me is a smart and interactive business matching program. Its straightforward and convenient process, together with the handy Mobile Match app and on-site Match Me booth, facilitates attendees’ meeting planning with hand-picked audiences based on their needs. The Match Me program is now up and running. A quick how-to video can be viewed here: https://youtube/FTDRehfR95o. G2E Asia’s leading-edge Interactive 3D Floor Plan helps visitors and buyers to easily locate their targeted exhibiting companies among 220 exhibitors and 37,000 square meters of exhibition space. The 3D floor plans, or Way Finders, can be viewed at various eye-catching kiosk locations throughout the show floor. Their innovative search and navigation function deliver full access to all exhibiting company profiles and details, including booth locations. G2E Asia Mobile App provides G2E Asia participants unprecedented event leverage with networking access to exhibitor profiles, conference program and speaker details, new product previews, special event updates and interactive floor plan. Added capabilities of personalized company and product profiles, internal messaging, personal itinerary and meeting requests further enhance users’ digital experience with time-saving access to the information they need to smoothly navigate the event. Lead Generation (Lead Gen) Scanner, the app’s newest feature function, provides users with a deeper comprehensive digital visiting experience. Its two-way interactive function via QR code scan feature, allows exhibitors instant scan-save-and-review access to visitors’ badges; and for visitors, immediate views of exhibitor company profiles and products. Its convenient real-time–including post-show– access to relevant show data leads to greater overall efficiency, and ROI,for both sides. international trade visitors of all segments and levels of the field. The annual industry gathering will provide the added value of direct access to the latest and upcoming global trends, together with the experts who know them best – all within an optimal atmosphere to learn, conduct business and make new connections. The 12th edition of G2E Asia, the region’s must-attend gaming and entertainment industry event, returns to Macau, Asia’s gaming capital, from May 15 to 17, 2018 at The Venetian Macao. To learn more about G2E Asia 2018, visit www.g2easia.com.